When reading of the Royal Navy’s role in the Napoleonic Wars, one is always struck by the dogged determination with which a blockade of the French and French-controlled coasts of Europe was maintained for more than two decades. One imagines the blockade in terms of sealing off these coasts to commercial traffic as well as to movement of warships. In the later stages of the conflict however, when Napoleon introduced his “Continental System” to close all Europe off to trade with Britain, an important role for the Navy became an economic one – to facilitate smuggling of British goods into French-controlled countries, while preventing trade in the opposite direction. This was perhaps nowhere more notable than along the shores of the German Bight, those of the northern Netherlands and the German states, all controlled by the French, and of the western coast of Denmark, a country that was to be at war with Britain from 1807 to 1814. A dramatic illustration of the nature of Royal Navy operations in these waters is provided by the actions of HMS Quebec off Nordeney in 1811. The Royal Navy’s presence in these waters did not normally involve – or require – a battle-fleet, as was the case elsewhere, since the Netherlands Navy had never recovered from the defeat of Camperdown in 1797 while the Danish Navy had been massacred at the Battle of Copenhagen three years later. 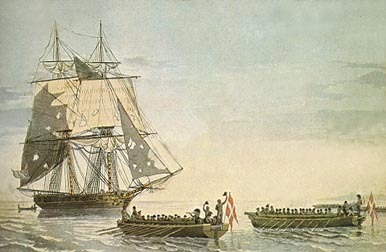 The actions in the years of the Continental System were involve what later came to be known as “coastal forces”, with small Royal Navy units facing even smaller open gunboats propelled by oars as well as sails. The two main Danish types were typical of those used in the area. The larger was the Kanonchalup that carried two 24-pounder long-guns in bow and stern, often complemented by four 4-pounder howitzers and a crew of as much as 80. 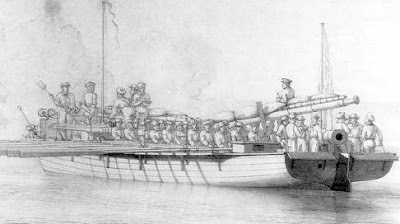 A smaller type was the Kanonjol, armed with one 24-pounder cannon and two 4-pounder howitzers, and manned by some 40 men. Such vessels would be at a disadvantage if they were to engage a larger vessel alone but the balance could shift were larger numbers present, with the oars providing high mobility and nimbleness, independently of the wind. Once such instance of gunboat success was in 1808 when the powerfully-armed brig-sloop HMS Tickler hauled down her colours after defeat by Danish craft. It was recognised that maintenance of a Royal Navy presence close inshore in enemy waters would be aided immeasurably by availability of a nearby base. 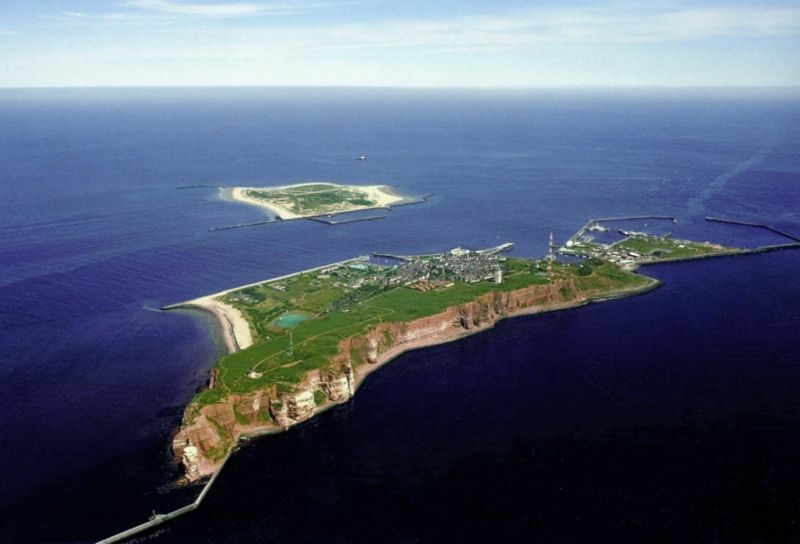 The answer was to occupy the Danish-held island of Heligoland, a speck of rocky ground less than three quarters of a square mile in area and situated some 30 miles from the German coast. It was surrendered without a fight in 1807 (though the destruction by explosion of the aptly named bomb-ketch HMS Explosion added some excitement) and was to remain in British possession until 1890 when Britain traded it with Germany to get control of Zanzibar instead. 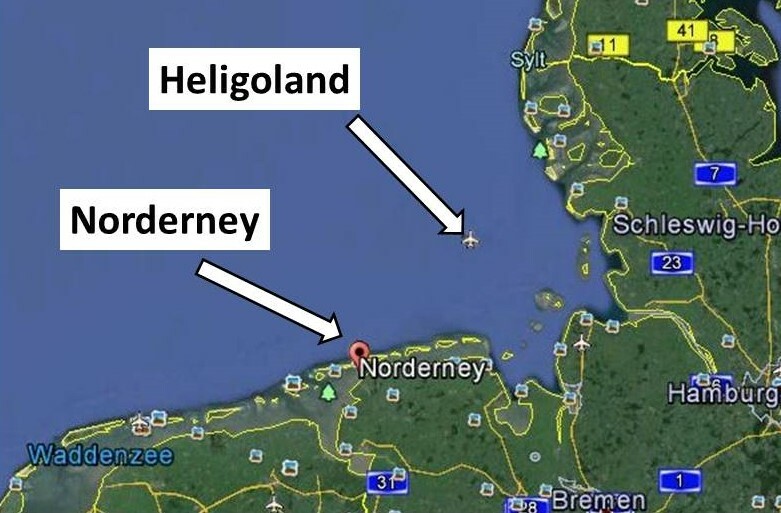 In the years 1807-1814 Heligoland was to become not just a forward naval support-base but also a base through which goods could be smuggled into mainland Europe to the benefit of the British economy. The deterrent to such smuggling was in the form of gunboats and in 1811 a Royal Navy operation was undertaken to destroy those concentrated in the vicinity of the East Friesan island of Nordeney. The shallow coastal waters precluded inshore action by larger units and like had to be met with like, Royal Navy pulling boats matching themselves against the enemy gunboats. At the end of July 1811 what would now be described as a task force arrived north of Nordeney. Led by HMS Quebec, a 32-gun frigate, it included three brig-sloops Raven, Exertion and Redbreast as well as the armed yacht Princess Augusta and an ex-collier, now armed, the Alert. On 1st August a total of ten boats were launched from these ships and they headed shorewards. They carried a total of 117 officers and men, under command of Lieutenant Samuel Blyth (1783-1813) of HMS Quebec and piloted by James Muggeridge, mate of the Princess Augusta, who seems to have known these challenging waters well. They carried on through the night and on the following day identified six heavily-armed enemy gunboats. Blythe realised that he was outgunned and, though he did not attack, he held his ground, being credited with the remark that he “would play children’s play and let them alone if they would him”. His resolute stand intimidated the enemy craft and they stood away. What followed was the stuff of naval fiction. The day was calm and Blyth’s boats stroked forward, lashed by two volleys as they neared their quarry and holding fire until they ran alongside. That they ever got so close is a negative commentary on the skill and alertness of the gunboats’ crews but, even so, HMS Quebec’s barge alone was found afterwards to have been hit by fourteen grape shot and twenty-two musket balls. Blyth drove his own boat towards what he identified as that of the enemy commander. He leaped across, killing one man and wounding two others, while Muggeridge was confronted by two soldiers. He shot one dead but was bayoneted in the throat by the other and fell overboard. The fight was brief however – Blyth possessed the gunboat in minutes and turned her 12-pounder on the three other enemy craft, all so placed as not to be able to return fire without damaging each other. Blyth found powder charges stacked by the cannon and they were used to load it. A match could not however be found and HMS Quebec’s gunner, who was one of the party, set it off by firing his own pistol over the touchhole. The cannon blasted but its flash set off powder spilled on the deck, leading to an explosion that engulfed nineteen men, three of whom were later to die. Blyth himself had his clothes burned off on one side and was thrown into the water and others suffered similar injuries. This disaster did not however check the attack of the remaining British boats which quickly boarded, and captured, the three remaining enemy craft. From first shot to last the action had lasted ten minutes. The number of prisoners taken exceeded the number of attackers and surprise rather than hand-to-hand combat had decided the issue, as was evidenced by enemy casualties of two dead and twelve founded. The British force lost four dead – and three who would die later – as well as nine wounded, a casualty rate of 13%, a high one for such a short action. The British force withdrew – it had made another pinprick on the hide of Napoleon’s empire and one cannot but wonder if the gain made outweighed the loss of life. Blyth himself was to gain by it however and a month later he was promoted from Lieutenant to Commander. Blyth’s career thereafter was however to be a short one. In 1812 he took command of the 12-gun brig sloop HMS Boxer. In the war now in progress with the United States he captured a total of seven vessels of the American Atlantic coast. An act of chivalry by him was to win praise from the enemy, stemming from capturing a small craft crewed by a group of ladies out for a sail. He brought them on board Boxer, where he courteously advised them that they should stay closer inshore in future. He then released them. One of the ladies was the wife of the local militia commander who was so impressed that he placed advertisements in local newspapers praising Blyth’s chivalry. The luck that had saved Blyth from worse injury at Nordeney was however to run out in September 1813. 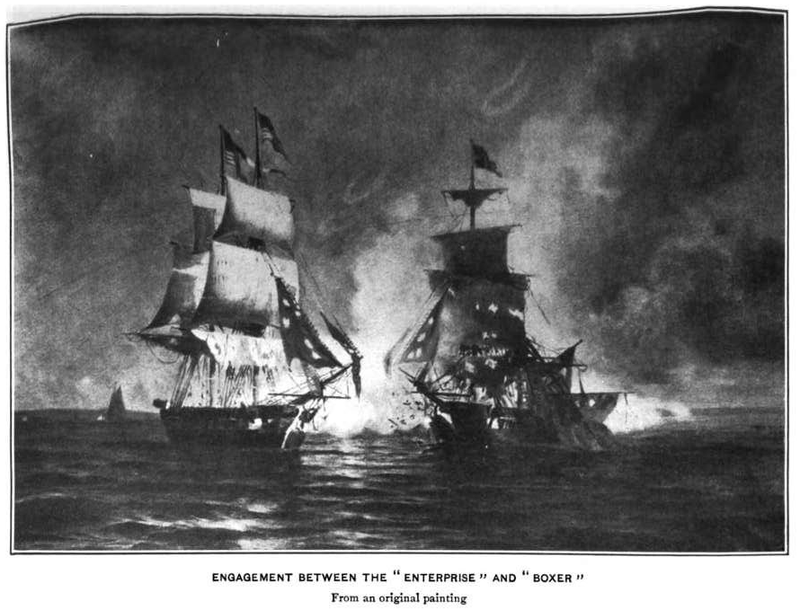 In a single-ship action, in which Boxer met the American brig USS Enterprise, he was killed by the first broadside and Boxer was captured. He was just 30 years old. 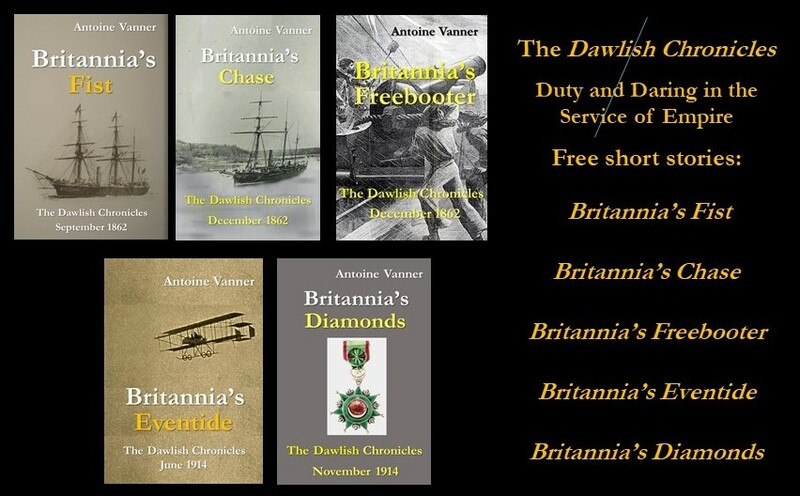 Registering for the Dawlish Chronicles mailing list by clicking on any one of the images below, will keep you updated on new books and facilitates e-mail contact between Antoine Vanner and his readers. You’ll also get five free short stories to load on your Kindle or Tablet. I enjoyed reading this interesting article. Blyth certainly packed a lot into his short life.